What if all youngsters, including the more vulnerable youngsters, could show their gained skills and competences in a way society would understand and recognise? What if the gap between these youngsters and (potential) employers would be bridged by one system? 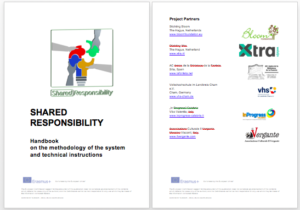 SHARED RESPONSIBILITY aims to make a SHARE methodology and SHARE system, using badges as a tool to recognize their gained skills and competences in informal, non-formal and formal learning on a EQF level 1 and 2. Doing this in a common language which will be understood by youngsters, youth workers, teachers, trainers, employers and policy makers. SHARED RESPONSIBILITY is based on the understanding that Education (Adult and VET education providers and Secondary Schools), Labour Market (Employers, Organisations/stakeholders e.g. labour office, social security, policy makers, chambers); Social (Trainers/social workers, Youth Care), need to work together to reduce the gap between vulnerable youngsters in society (NEETs, young refugees and migrants) and employers. 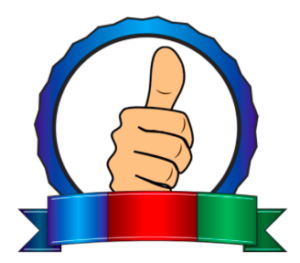 Giving the youngsters recognition in their learning will empower them, increase their key competences and for that reason will lead to a more active citizenship. The aim of the project is to narrow the gap between vulnerable young groups of people in our society and the labour market in order to make these young persons to active participants in our society. This strengthens them to be self-confident and make them economically valued in community.